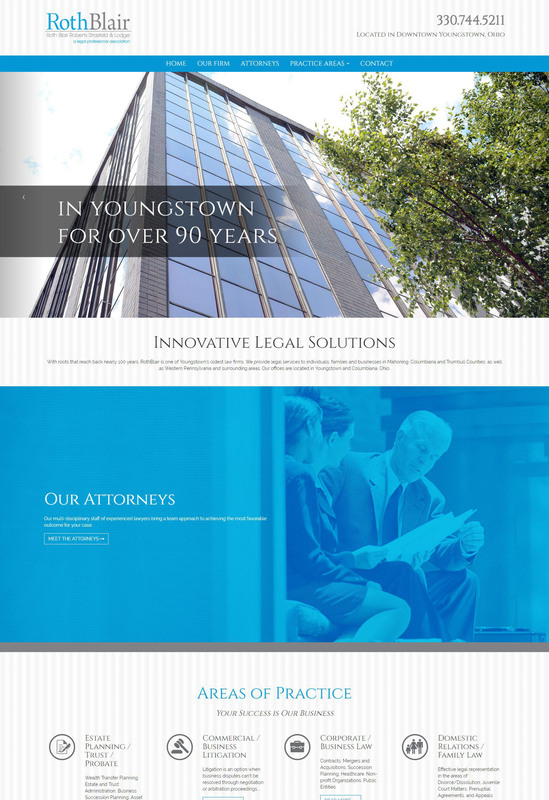 With roots that reach back nearly 100 years, RothBlair is one of Youngstown’s oldest law firms. 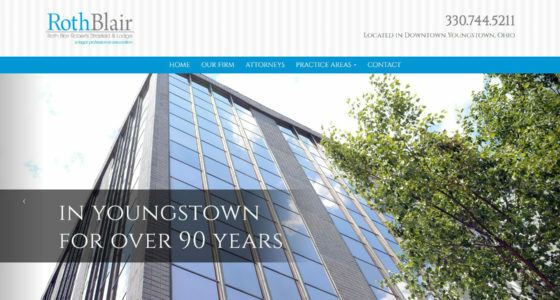 We provide legal services to individuals, families and businesses in Mahoning, Columbiana and Trumbull Counties, as well as Western Pennsylvania and surrounding areas. Our offices are located in Youngstown and Columbiana, Ohio. Farris developed a new website for RothBlair, and continues to work with the firm on a variety of marketing projects.